Brief Synopsis – The crew of the Enterprise must try and stop a fugitive wanted for committing a terrorist attack on Starfleet. My Take on it – This movie is a great example of how to make a sequel properly. Since the original movie of the reboot franchise took the time to reintroduce us to the characters, this movie was able to throw us right into the entertaining and interesting storyline snd keep us enthralled for the entire 2:15 hour runtime. 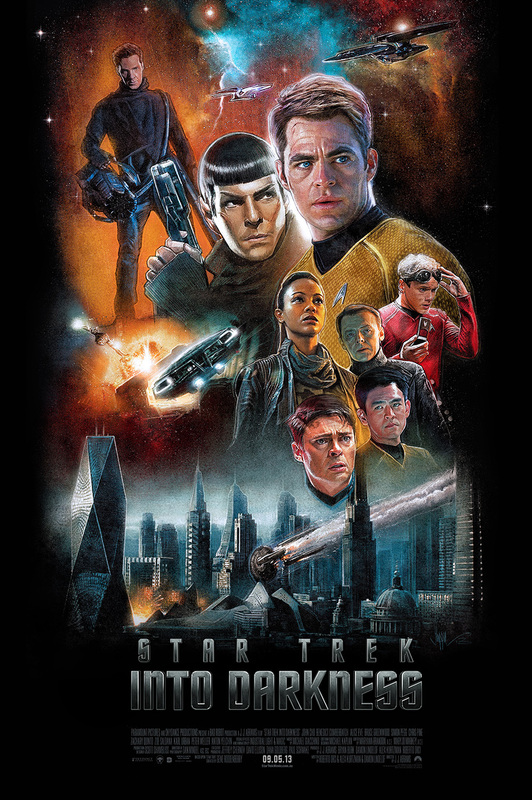 People have faulted this movie for ‘borrowing’ plot points from the previous Trek movies but I actually think that it was clever the way they did it because it shows that even on alternate world’s fate plays a hand in similar situations. The recast crew are great together and they embody the original Star Trek crew to a tee while at the same time make it their own. Bottom Line – Excellent sequel that in some ways even tops the original because it can spend time on the storyline instead of character development. Highly recommended! I want him to finish star wars for other selfish reasons :-D. Thanks for stopping by and commenting Cindy! He took on Star Wars. But the new Star Trek will be directed by Roberto Orci, who has at least been involved with the first two films (he wrote and produced). Fingers crossed it’ll stay awesome!! Wow. I missed the memo. Sigh. I hope Roberto Corci can handle it. Obviously, I agree with you on this review. 🙂 Well done, Rob!